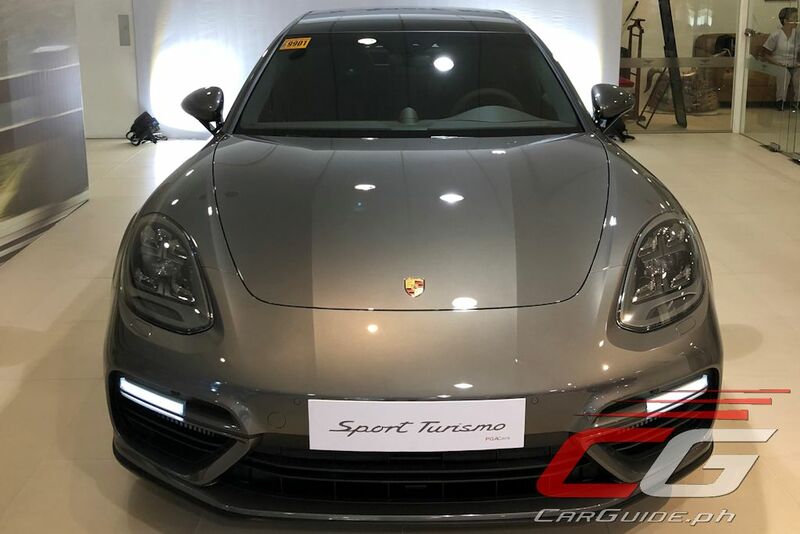 Kicking off the Year of the Dog, PGA Cars Inc., the exclusive distributor of Porsche in the Philippines unveiled the all-new Porsche Panamera Sport Turismo. It’s been a year or so since its global launch, and now, the highly-coveted model is now here. The new Panamera Sport Turismo comes in 2 variants locally: the Panamera 4 Sport Turismo and the Panamera Turbo Sport Turismo. 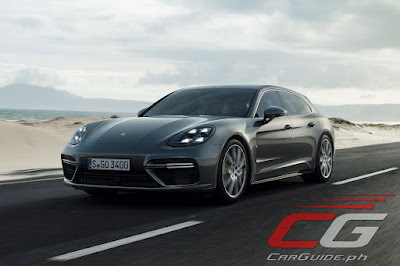 Today, when functionality seems to rule the streets, the latest addition to the Panamera line exudes both the same design DNA that Porsche fans know well and love, and a new body style with the undeniable edge that would make driving it daily even more enticing. The new wagon-like (or four-door hatchback if you prefer), automatically makes it sportier and edgier. 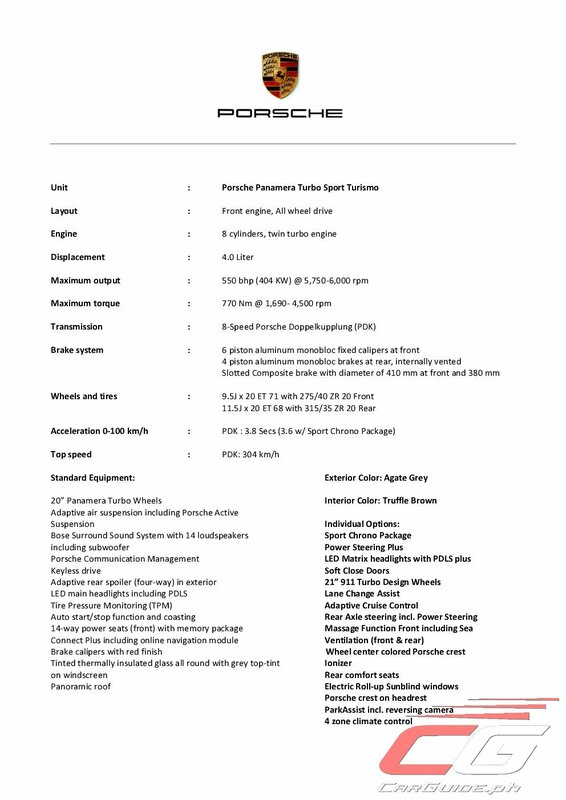 Plus, it now offers better luggage room and even more space for easier cargo loading. Its smart design extends not just to a new rear-end. The Panamera Sport Turismo has more room for taller passenger thanks to the extended roofline. In fact, there is no interference in terms of headroom when the headliner transitions into the hatch area. 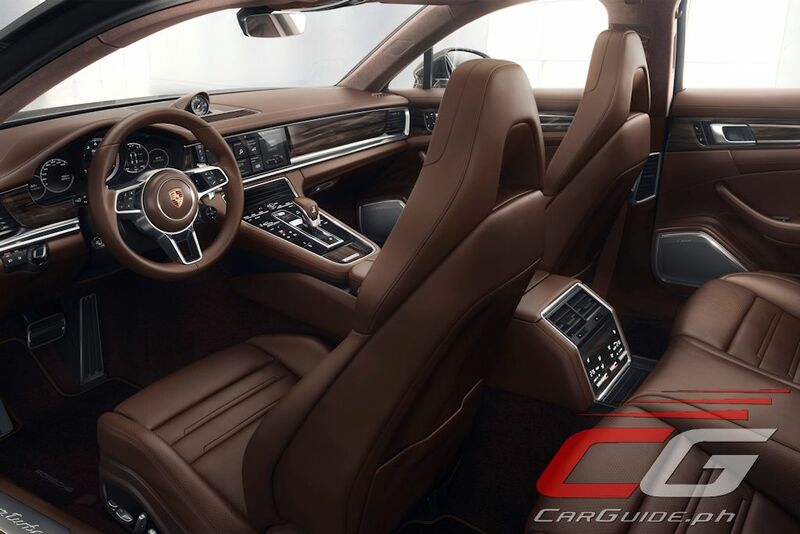 Another advantage of the Sport Turismo is improved seating comfort. 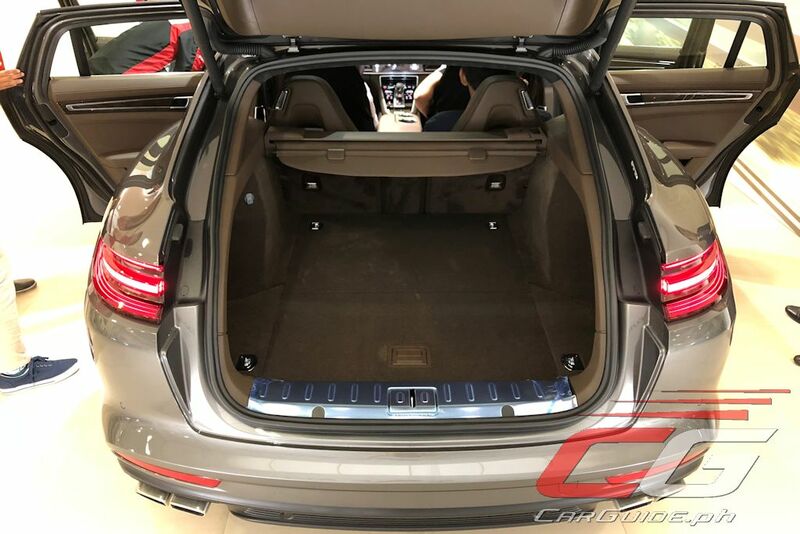 While the regular Panamera is designed to only seat four (driver included), the new model offers the 4+1 concept, where the center of the back seat can accommodate a third rear passenger. There are also nifty features, such as adaptive air suspension, a built-in seat massager, and padded doorway linings to avoid snagging your favorite suit on the door frame, among many others. 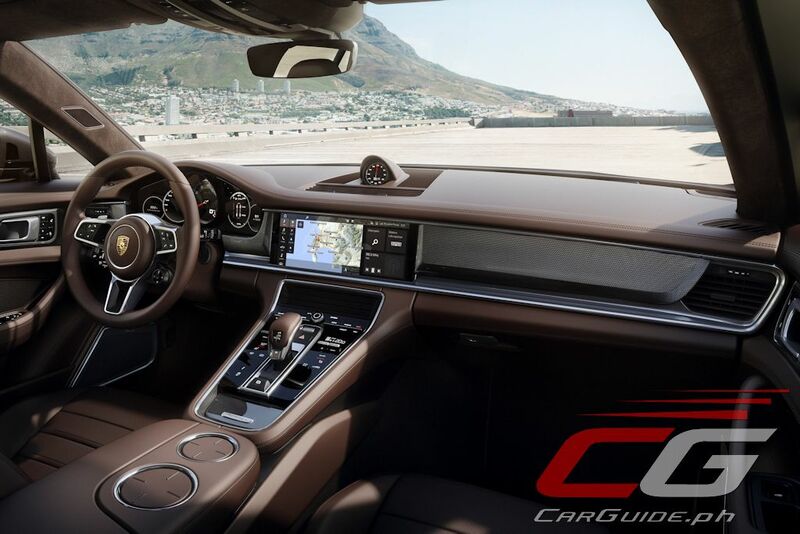 There are subtle differences between the Panamera 4 Sport Turismo and the Panamera Turbo Sport Turismo such as bigger wheels, but the biggest one lies in its power. 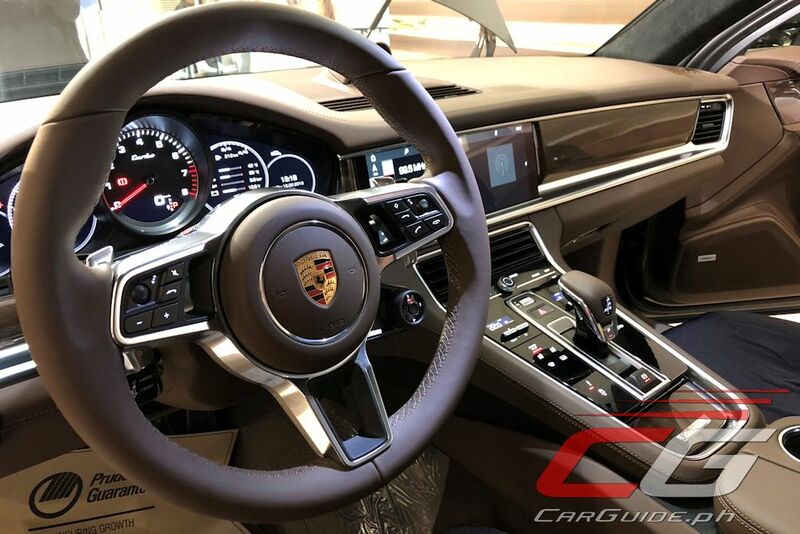 The Panamera Turbo Sport Turismo is the top grade model, running on a 4.0-liter twin-turbo V8 engine, four-wheel drive, and with the ability to reach a top speed of 304 km/h. 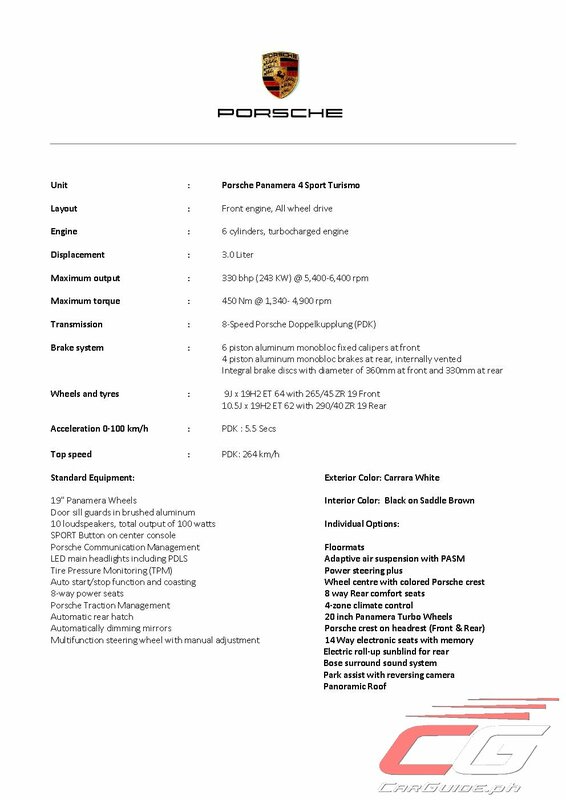 The Panamera 4 Sport Turismo, on the other hand, while still an all-wheel drive, runs only on a single-turbo V6 engine, but still able to climb to a peak of 264 km/h. Each variant boasts of outputs of 550 horsepower and 770 Nm of torque, and 330 horsepower and 450 Nm of torque, respectively. 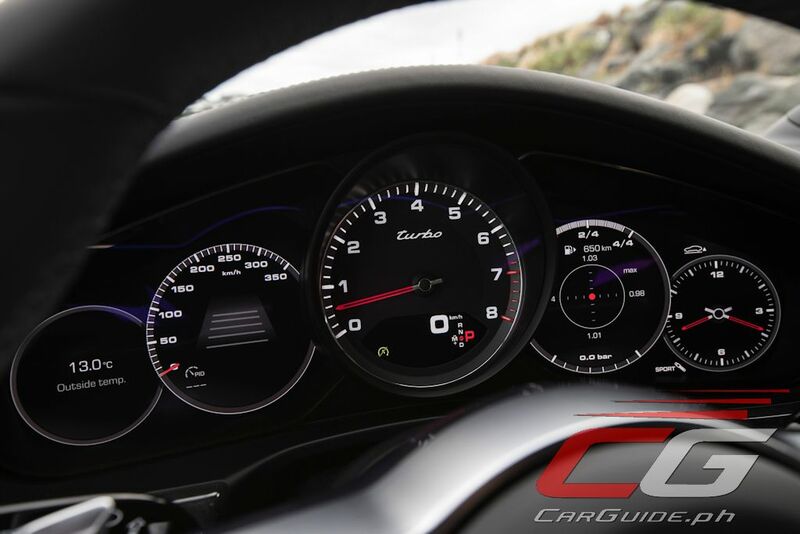 The Sport Turismo is also equipped with the aerodynamic guide element, a component of the Porsche Active Aerodynamics. 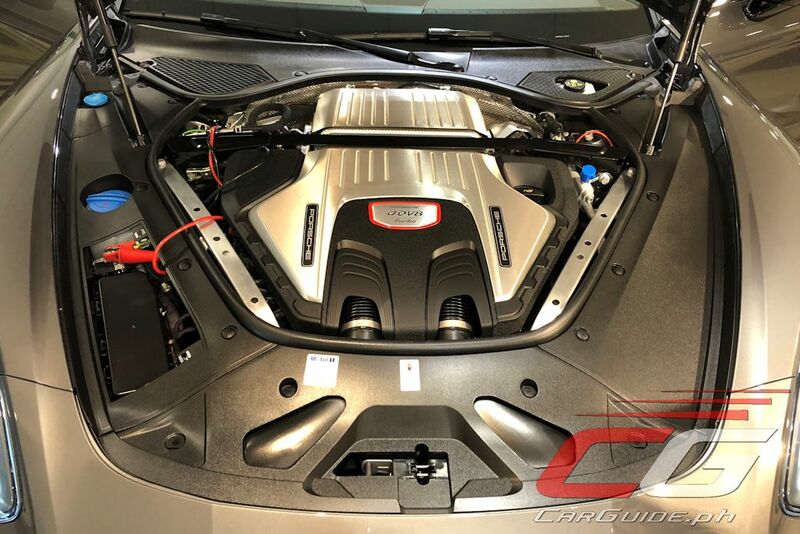 When the car reaches a speed of 170 km/h, it stays in its retracted position of -7 degrees, which reduces drag and optimizes fuel consumption. 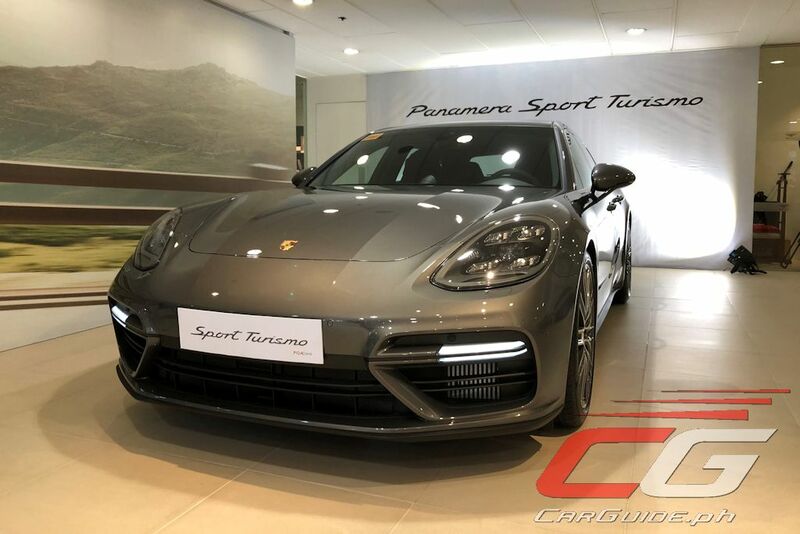 The Porsche Panamera Sport Turismo is now available for viewing at the PGA Cars showroom along EDSA Greenhills, San Juan City. 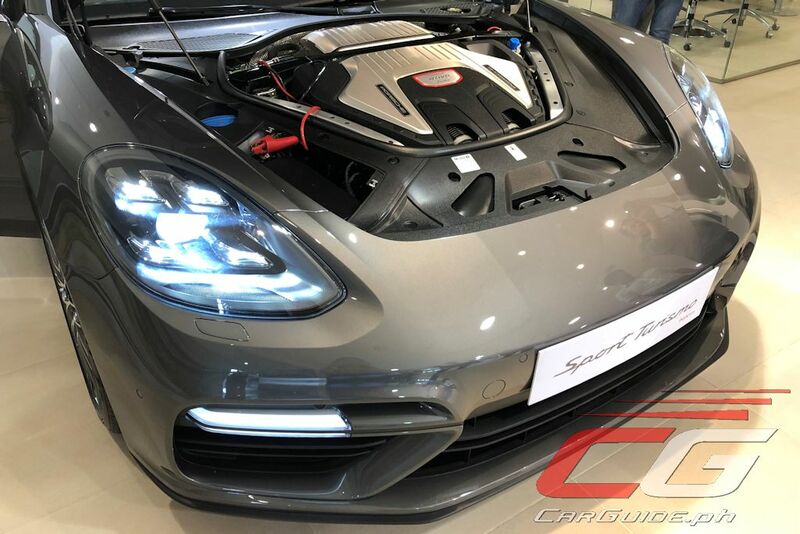 Prices for the Panamera 4 Sport Turismo starts at P 10,950,000 while the Panamera Turbo Sport Turismo starts at P 18,500,000. Words and Photos by Gen Tiu.